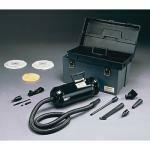 Canister vacuum cleaners are by far the most versatile type of vacuum cleaner. 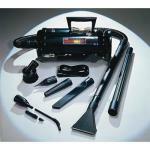 These types of vacuums do an excellent job on all types of carpets and bare floors. Canisters have attachments that can maneuver under and around furniture that most upright vacuums cannot navigate. 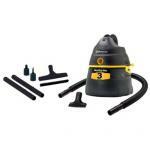 You can also buy them with special carpet nozzles that will allow you to deep clean carpeting just like an upright.